If you’re a fan of Joyetch’s first version of the eVic, this latest design will have you running to the keyboard/vape shop and begging someone to take your money. Aiming at the goal of always bringing our readers the very best in vaping technology at the most sensible price, let’s take a look at this combination kit containing the eVic VTwo and the Cubis Pro sub-ohm tank system. 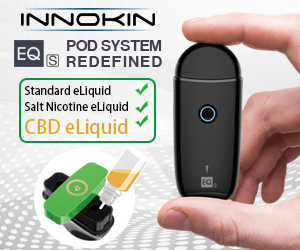 Whether you’re brand new to vaping or an advanced user looking for something stylish with a decent built-in battery supply, this little monster could be just what you are looking for. We’re going to spend the next couple of minutes looking at exactly what this package has to offer and then we’ll point you directly to the lowest price we have found. 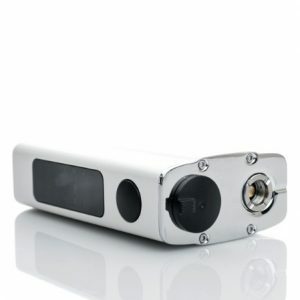 The 5000mAh of internal battery power is a great selling point for any stand-alone vape mod, even before you consider adding in the circuitry and sophistication of Joyetech’s internal components. 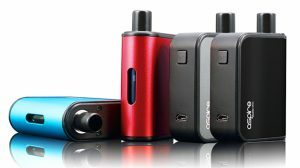 With micro-USB charging and dual circuit protection systems, the eVic VTwo will make sure that the battery remains in operation as you fire this system between 1 and 80 watts in regular power mode, or switch it up to take advantage of the temperature control functions it has to offer. 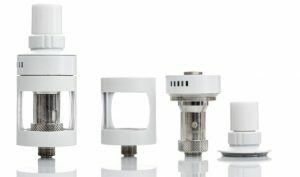 Taking advantage of the atomizers wide resistance range (0.15-3.5Ω in power or bypass mode, 0.05-1.5 in temperature control) gives you a great arc to work in, regardless of your choice of RDA/Tank system. Temperature control functions work between 200-600° Fahrenheit and offer support for Ni200 Nickel coils, Titanium, and Stainless Steel. Not only is the device set up to easily switch between coil types, but it also offers 3 adjustable memory slots and fine tune adjustments within the temperature control settings. 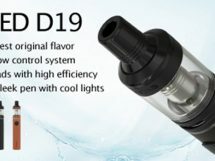 The 0.96 inch rotating, super bright OLED screen has a wide array of information from your atomizer resistance to a real-time clock while switched on or can easily be extinguished by switching to stealth mode. 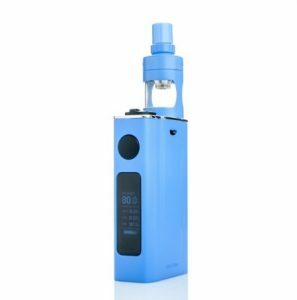 As far as the design of eVic VTwo from Joyetech, there are very few on the market that can stand by its side. The simplicity of its lines are unbroken by buttons, the screen face containing nothing but the over sized firing button, and scrolling through the menu options is controlled by the twist of the swivel adjuster on the top. Designed to be used entirely with one hand, the eVic VTwo delivers Joyetech’s next chapter with a bang. 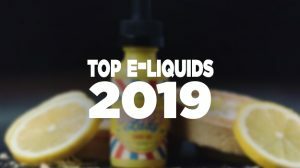 Top airflow seems to be the “soup of the day” as far as new tank systems go, but the Cubis Pro has taken it a step further than many of its competitors. 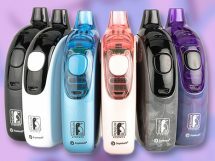 Dual adjustable airflow slots give you five options on either side to customize your vaping experience, from a tight draw to a cloud-busting lung hit, this tank has been designed to appeal to the widest audience possible. 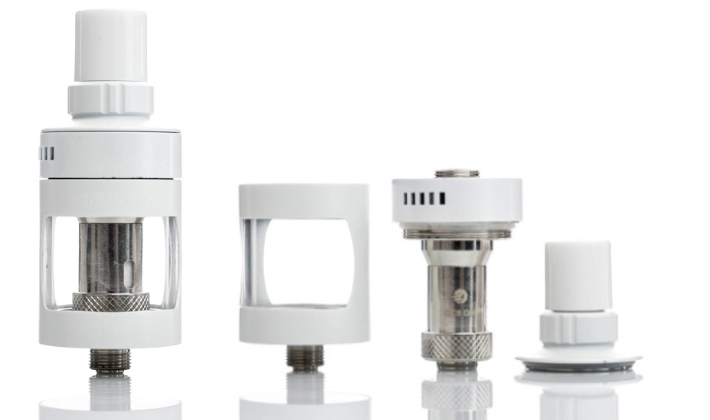 Top airflow also means leak proofed and top filled with 2 massive fill ports underneath the cap, giving you ample room to drop the 4mL of e-liquid into the well. As we already mentioned, this tank was designed with options for everyone — options which include several new coil systems. 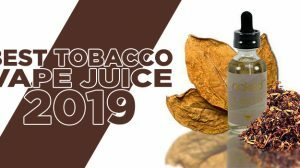 You have the QuickChange System (QCS Coil) with a removable exterior and a rewickable Notch Coil, Liquid Valve Control (LVC Coil) with its adjustable wicking rate designed for mouth-to-lung hits between 8-20 watts, the NotchCoil DL Coil and the BF SS316 DL. 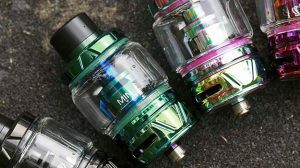 Created from Stainless Steel and colored to match the box of your choice, this kit will keep any vaper happy all day long.